I know a few people enjoyed when I blogged along as I worked on another project. I think it was my skirt. I thought I would do that again. 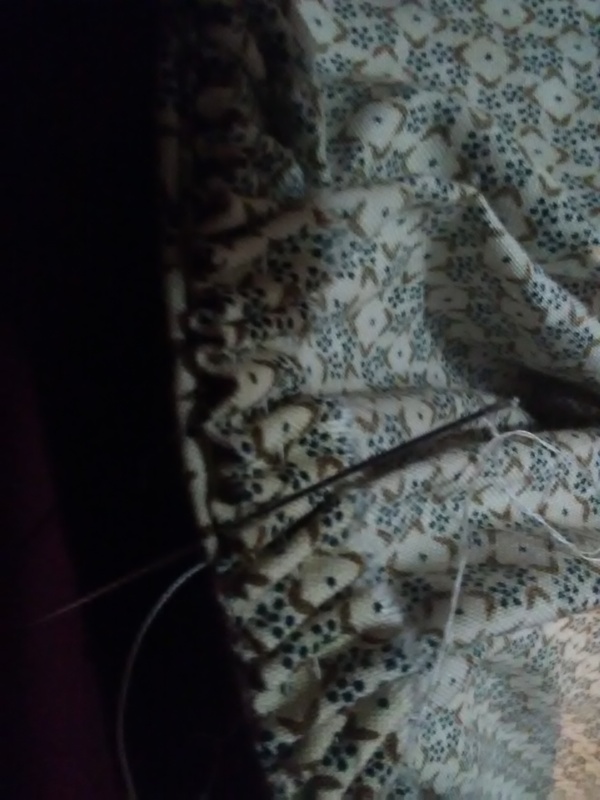 So, as I sew today, I will add to this post. Okay, this is going to take several days. 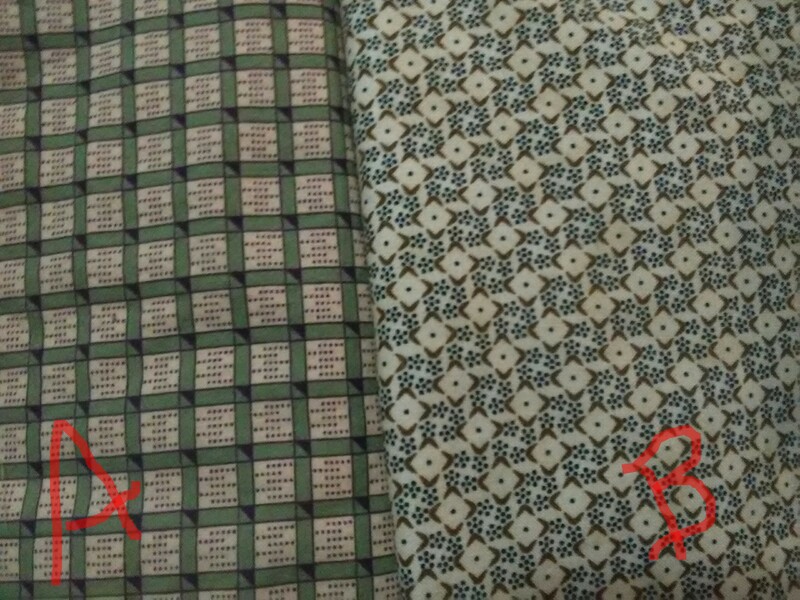 A couple weeks ago a friend brought me some fabrics from her shifting stash. 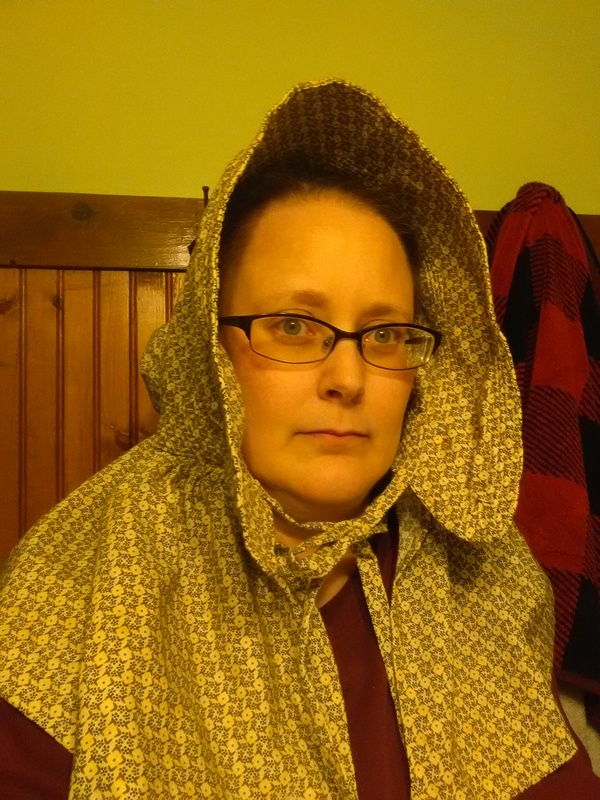 This week, they started saying “sunbonnet, sunbonnet, sunbonnet.” Given that my hands need a straw rest, today I will start a corded sunbonnet. 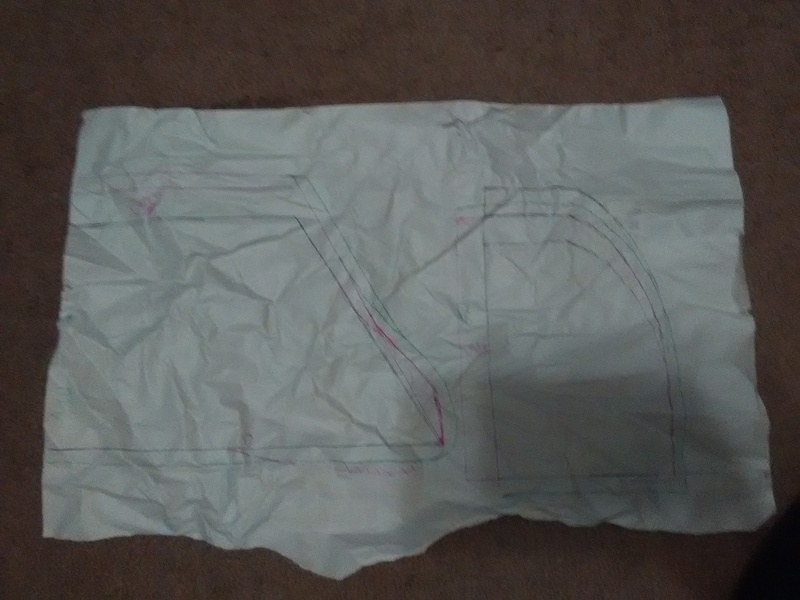 Next step: Draft a pattern. These are two of my current sun bonnets. The blue I made. The red I bought. The blue has a brim that is just too short. But, I love the fullness of the crown. The red has a nice length. But, I do not find the top angle or the crown fullness comfortable. Love those brim points though! 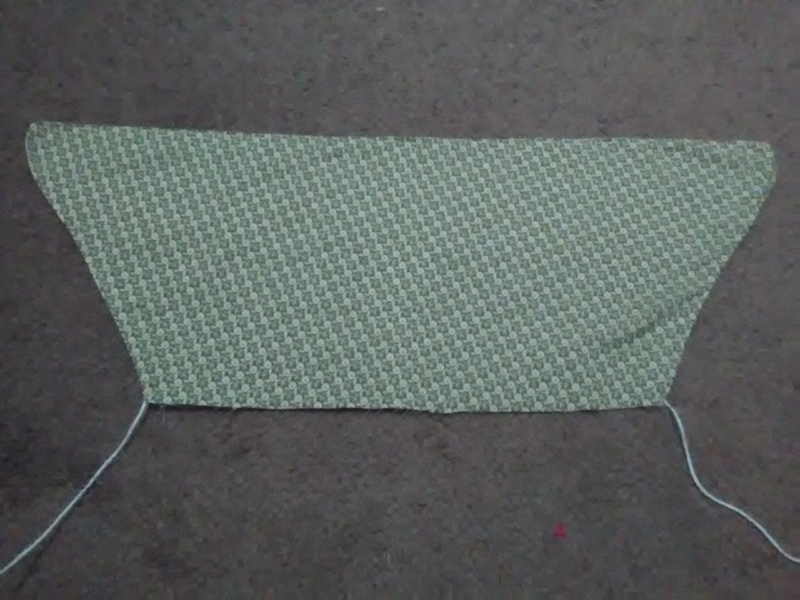 I started with a basic trapezoid folded in half. It has a 13″ base and 8″ height. The top, which is the back is also 8″. These lines are black. I reshaped the cheektabs in pink. The green line is the cutting line. Yes, my paper is very wrinkly. Do Not do as I do. Well, waiting for feline assistant first. 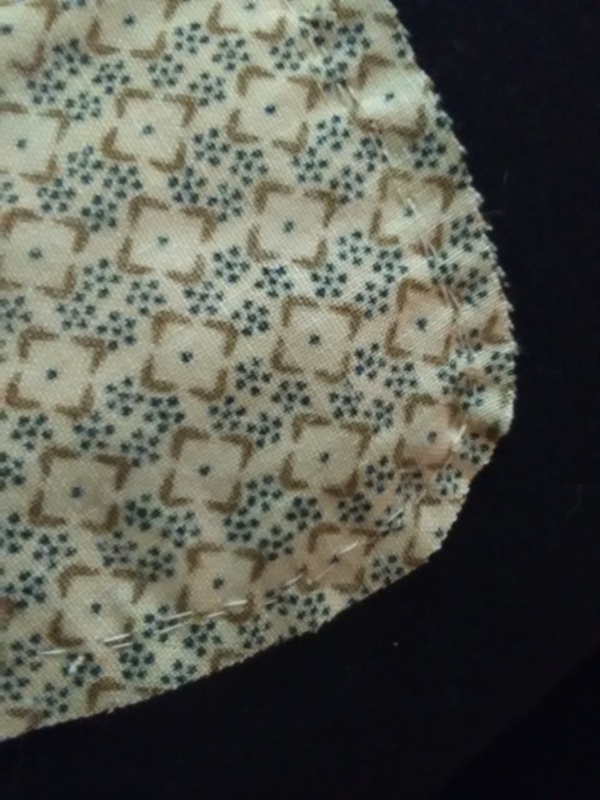 There was about a yard of this fabric minus a corner. So cutting was easy. This is two layers of brim and one layer of crown. I will cut the bavolet/curtain later. I haven’t decided on depth, fullness or grain. I will also need a 1″-1.5″wider strip for the bottom of the crown to draw it in. I kept the crown and brim on the grain. I am am not in the mood do deal with bias stretch even though it may give tighter cord channels. 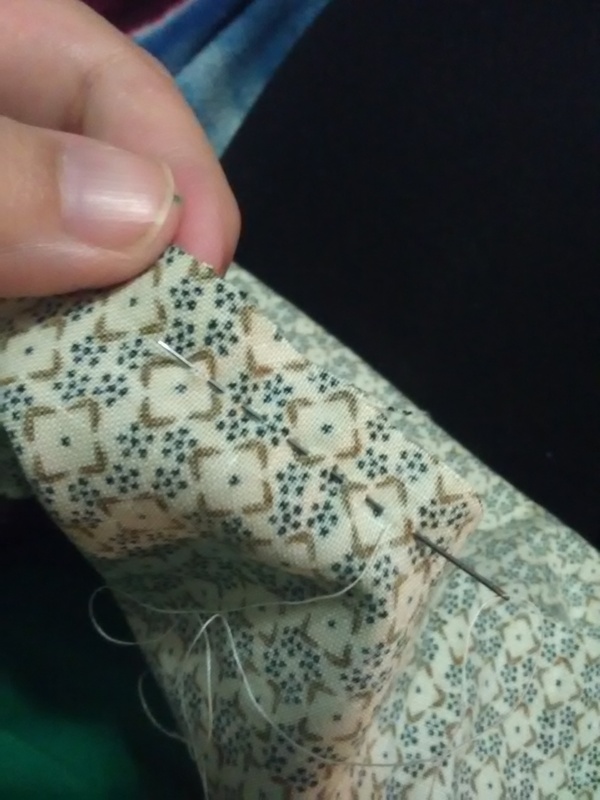 On to sewing the front edge. 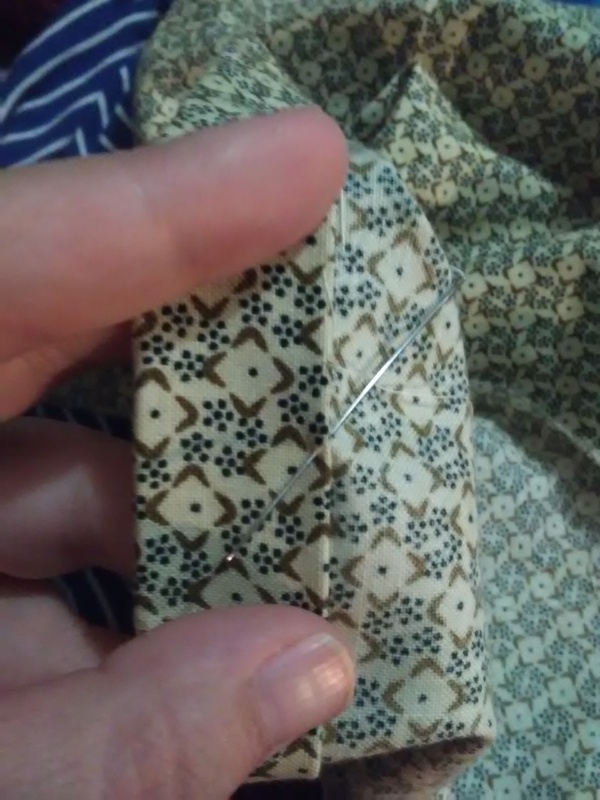 Then pressing that edge and many rows of cording…..
Have I mentioned I have to force myself to do wide seam allowances? 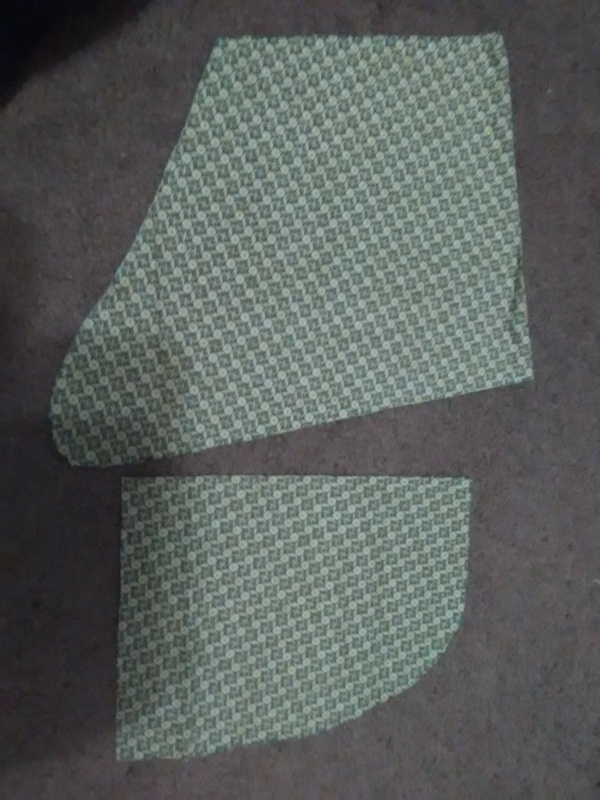 Note: I trimmed the seam allowance around the cheektabs to reduce bulk. 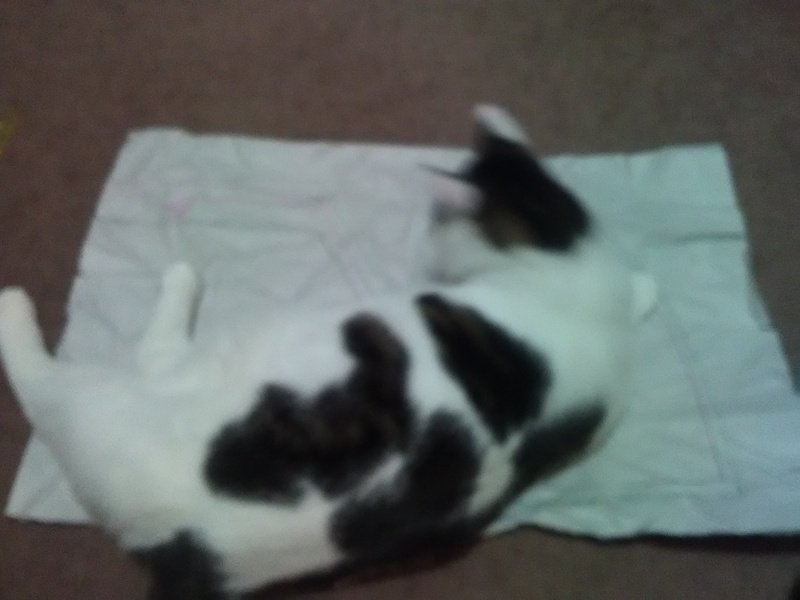 But, knowing this is a spot where I will get wear, I put a second row of stitches for strength. 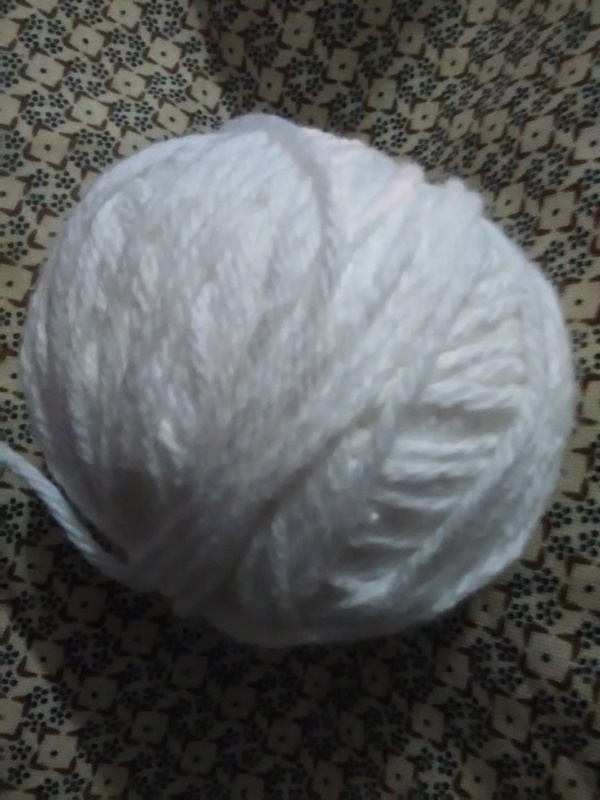 I am using what may likely be the last of my cording ball. I bought this year’s ago. 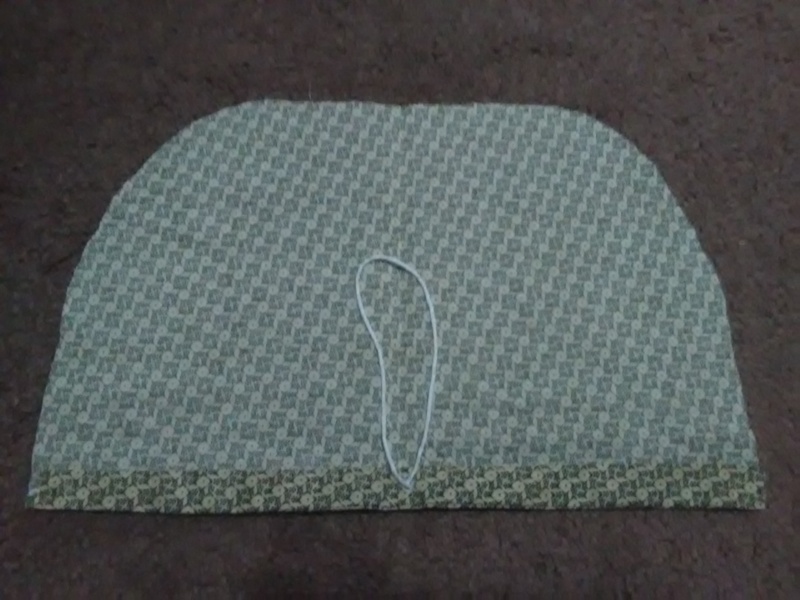 The front edge of the brim is rolled so the edge of the seam is just behind/inside of the front edge of the cord. 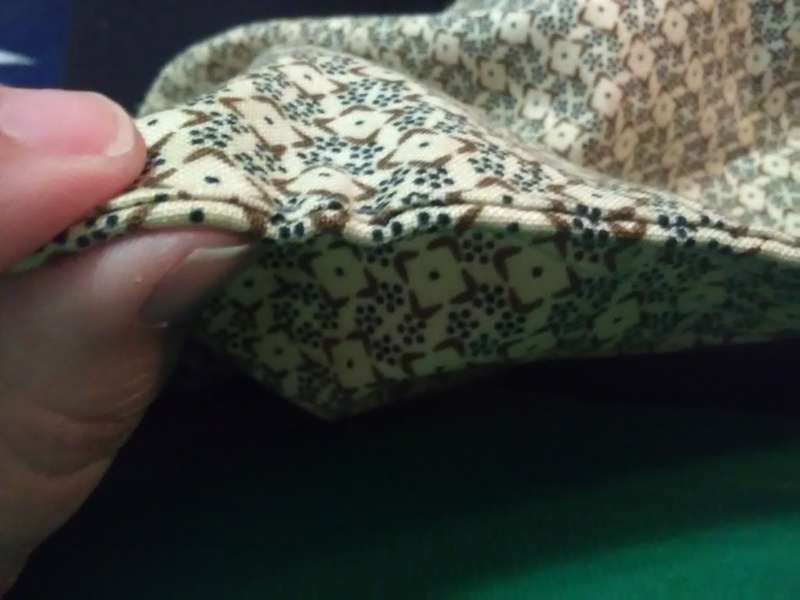 On the sides, the seam will be more centered because that is where I want to whip on the bavolet. 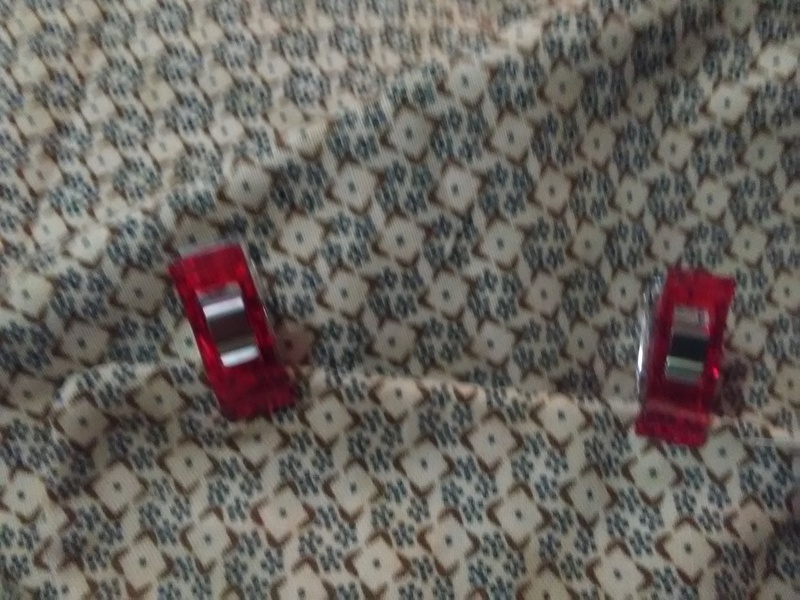 I found my quilt clips to be a nice help in holding this first row of cord. The downside is I can only find two. 6:20pm dinner break. 6 corded rows and 3 more chanels. Plus the fish. End of day 1. Cords set in sets of 5-4-3-2, front to back. I may add a single last cord after attaching the crown. Day 3: In the morning, I gathered and set the crown. I am easily irritated by the random, uncontrolled nature of plain gathering. I was fairly satisfied with how this came out. 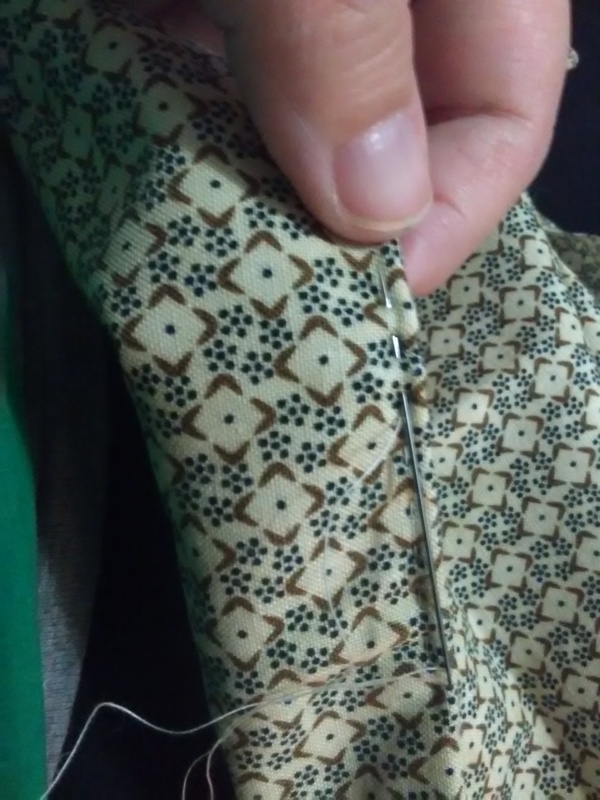 The seam has two rows of running stitches. Then I simply turned and cast over the raw edge. 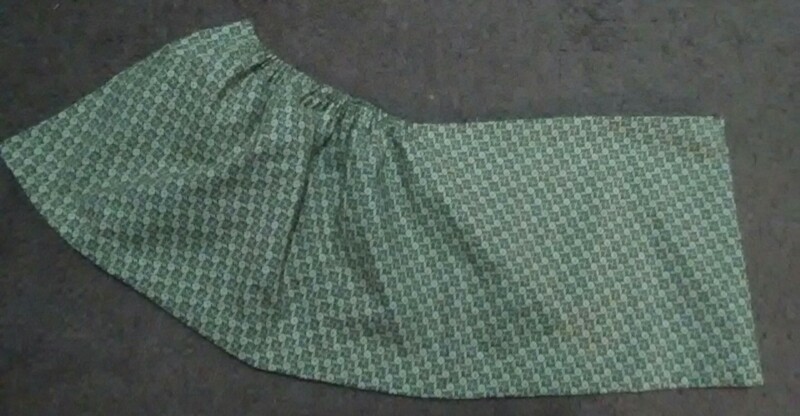 The 8″ bavolet is about 50″ long with a wide, approx 1″ hem. 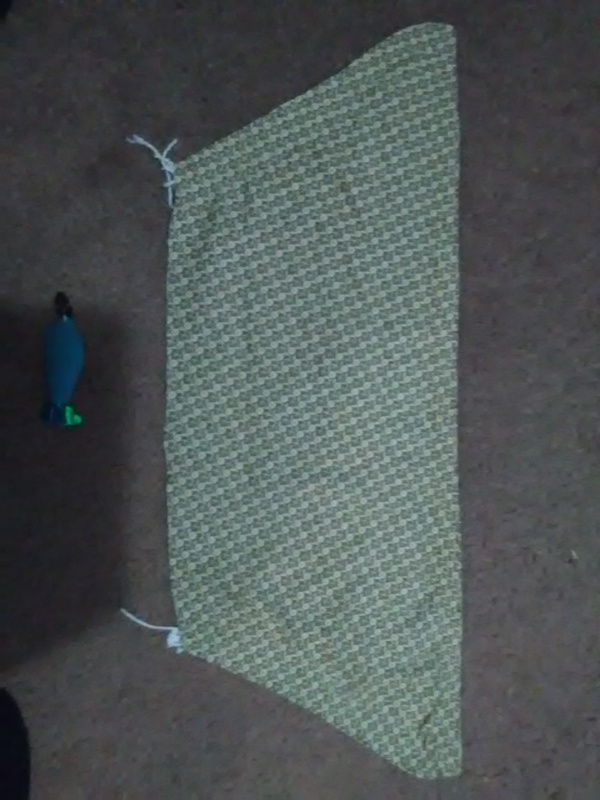 I wanted it full enough to drape comfortably. I wanted to try a technique I saw on an original in the local collection, a type of gauging whipped in place. 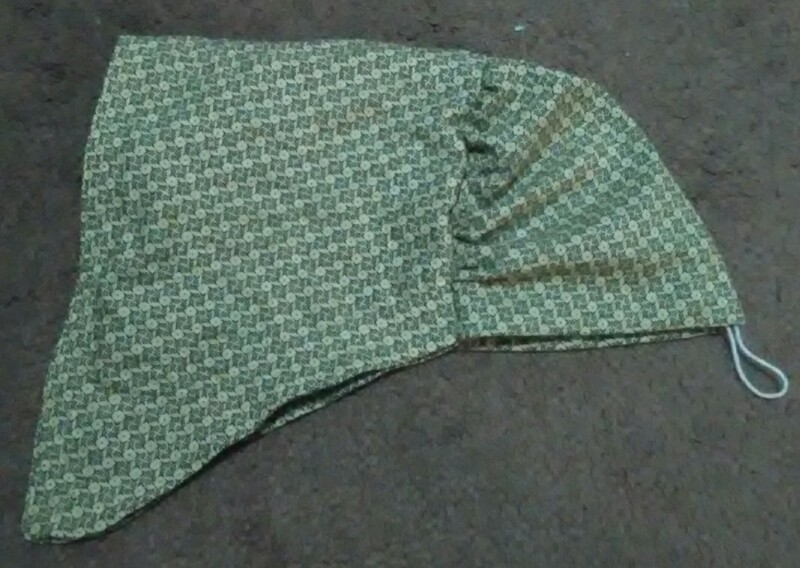 Here shows the bavolet folded in half with the two sides gauged. The it was time to run to the Stone Tool show to get a couple boxes. These are the three that are not gifts. The top one is for our pressed pennies awaiting a book. 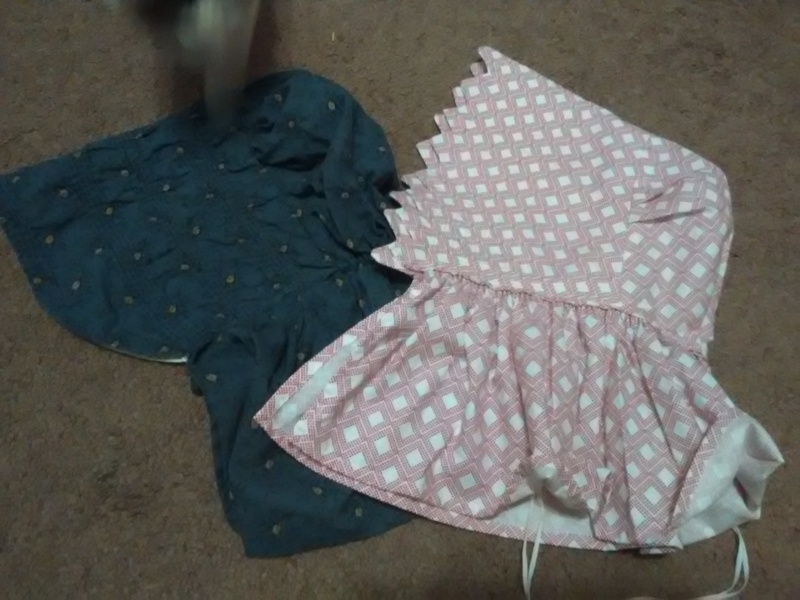 The bottom will be for sewing. I had wanted a big one but he didn’t have any bigger ones this year. Love the color of this one. It will get lined in blue or green I think. 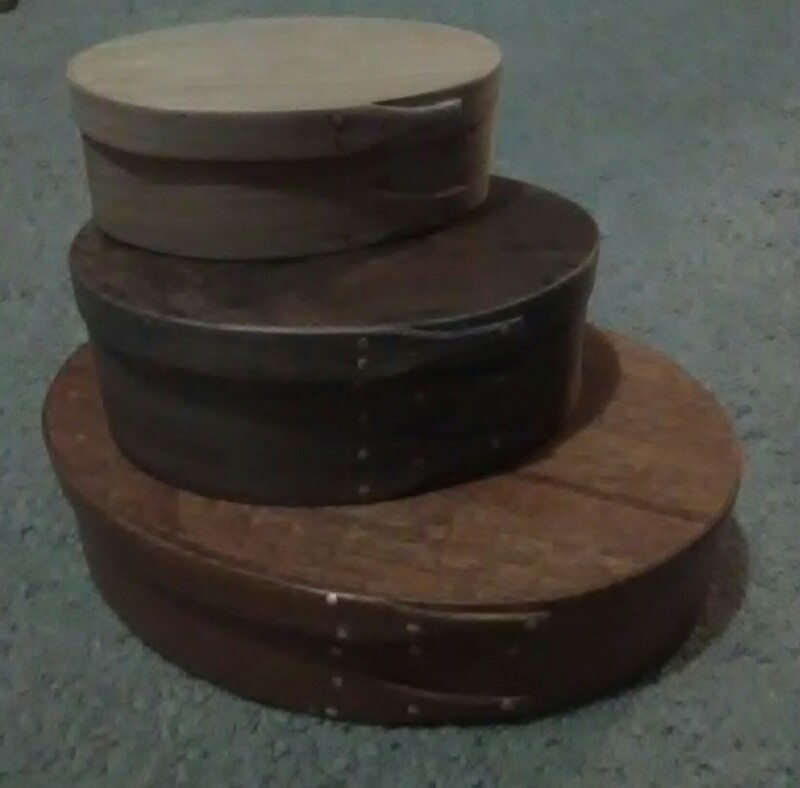 The middle one has the neatest dark spot on the lid. It is very light weight compared to the others. Dau 3 evening: The bavolet was easy to set despite being tired and the TV show being distracting. The ties are made from the same fabric, just folded and whipped. I set them to sit near my jaw bone. I find that placement to be secure for me. This is what it looks like without an starching. I like the size and fit. It is larger than some. But, that means no sun is getting to me deep inside. I think it will also help with light rain and wind. I’ll be starching it soon. *Random note: Renting has given us a chance to learn what features and fixtures we do and do not like in a house. On the do not list is bathroom lighting that makes everything look yellow. Between the lightbulbs and the sconces, the light is awful. Even when we put daylight or white bulbs in, the light is still funky. Now, you are making me want to make one…. 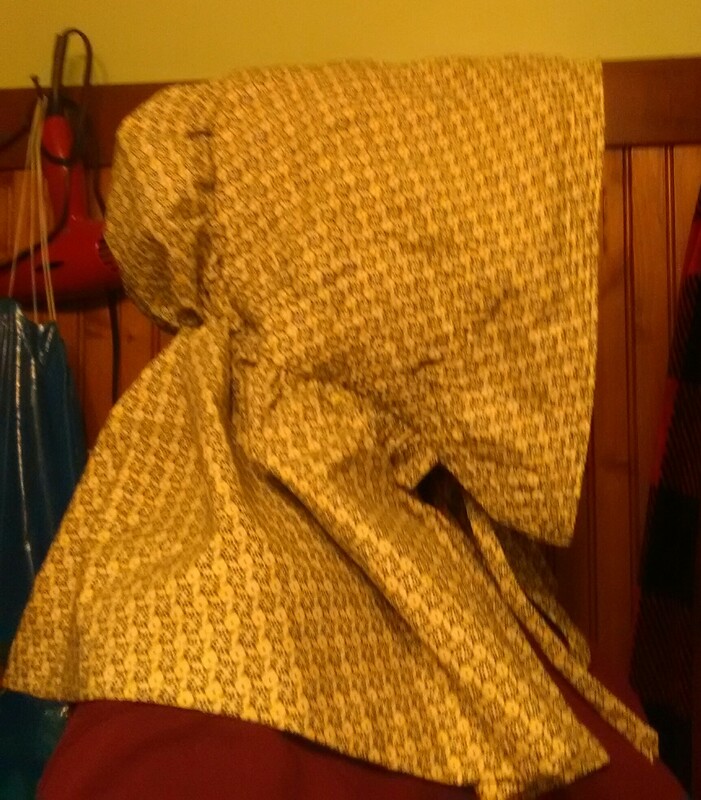 except I hate wearing bonnets with a lot of depth because I feel like I am wearing horse blinders. I may make one, just because I haven’t done it before and it will give me something different to make. Tell me more about the fish. Oh. This is a very important fish. It came on a little plastic fishing pole so my husband could play with Clara. The goal was to tire her out. She Loves this fish. No matter where we put it, she finds it. She cries at it when it won’t move. Since getting the fish, she has made noises we never heard her make before.